During the summer I stumbled across a cosmetics company on twitter by the name of No Worries Cosmetics. 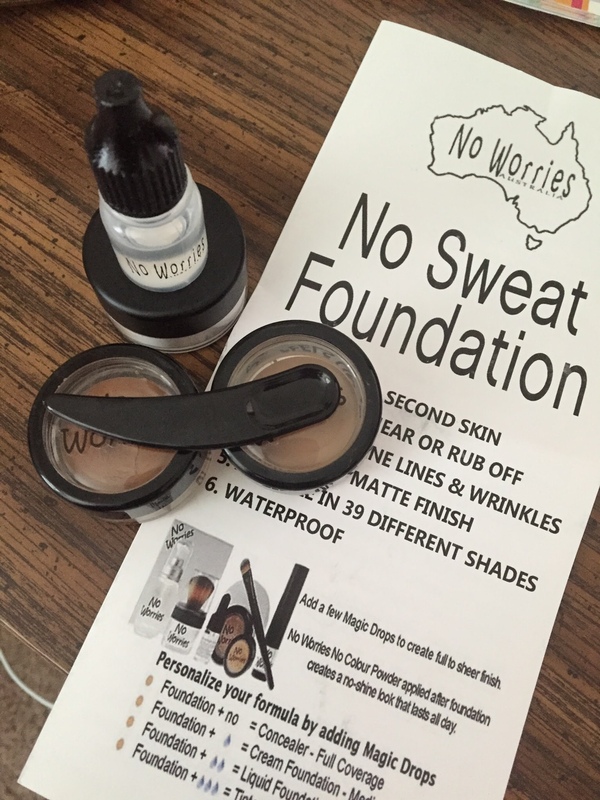 What caught my eye was that their foundation was no sweat….no sweat people! I spent all summer in Florida and I literally wore makeup one time. And that was to meet up with some of my blogging/social media boos when I went to Jacksonville. After checking out the site I tweeted the owner, Jill, of No Worries Cosmetics and said that her products would be a god send in this sweltering Florida heat. While reviewing her site I also noticed that she had products that would help with vitiligo coverage. At that point I knew I had to reach out to them to learn more. In case you missed it, my youngest daughter begin developing vitiligo last summer (read Morgan’s story) and she begin wanting to hide her skin by wearing leggings ALL THE TIME. During the cooler months, that was all fine and dandy but when that summer heat hit I knew she’d end up having a heat stroke trying to stay covered up! I had a chance to speak with the Jill on the phone about their products and I just LOVED the passion she had for her products. When I shared Morgan’s story she stated that she wanted to send her some of their products to try.